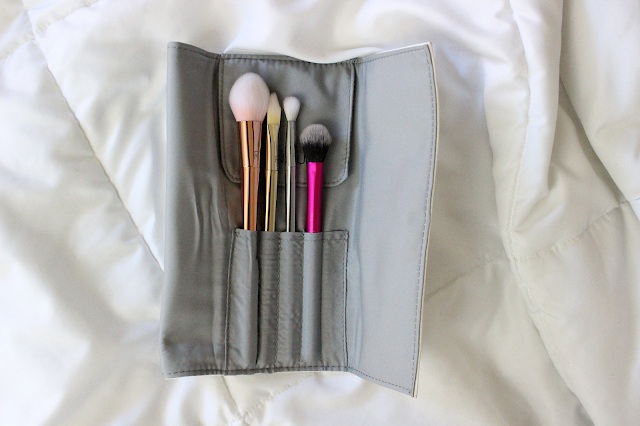 Included in this Voxbox were 4 brushes (tapered, triangle concealer, tapered shadow, and a setting brush). Additionally I received the miracle complexion sponge! 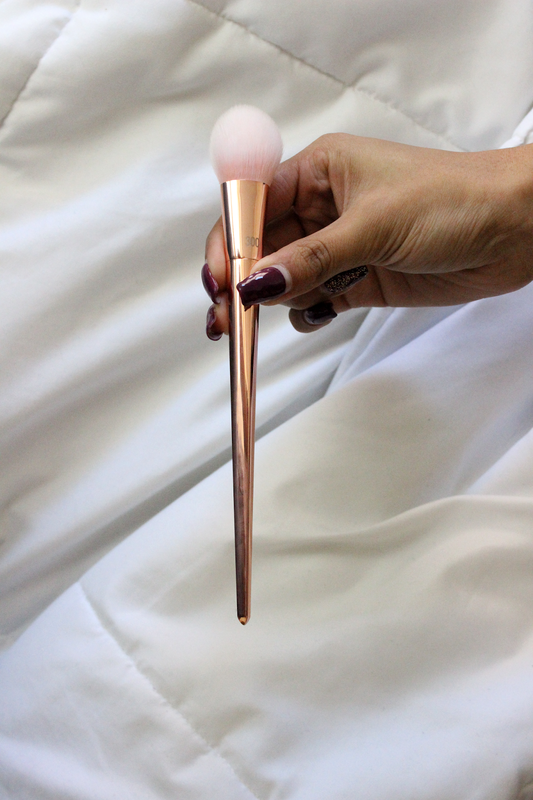 This is a small, tapered, paddle shaped blush brush. 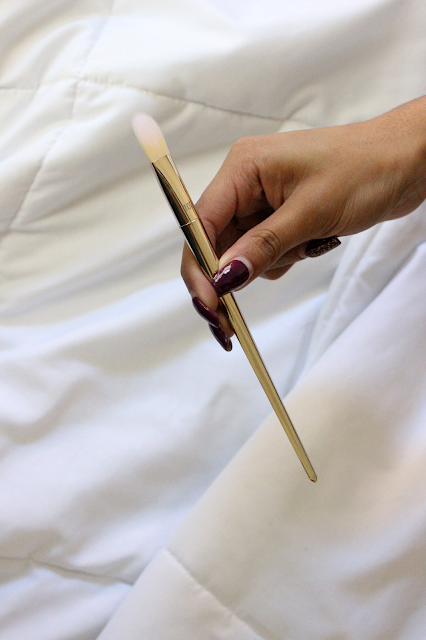 I personally don't wear blush so I apply cream highlighters with this brush. In terms of highlighting I've never used a brush other than Sonia Kashuk's Limited 15th Edition Buffing Brush so this brush was completely different. 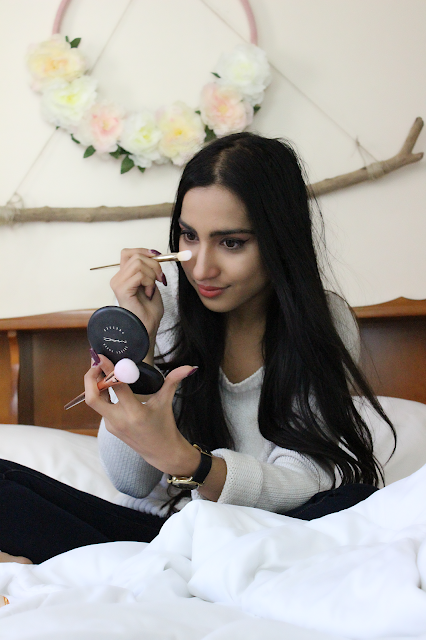 Its so incredibly soft and blending/sculpting your cheekbones is seamless. On a unrelated note this brush cleans really easily with e.l.f's daily brush cleaner. In terms of appearance the gold brushes from the Bold Metals collection are my favorite. I just love how they look! I was surprised by how much I liked this concealer brush, possibly more than my KVD lock-it tattoo concealer brush. 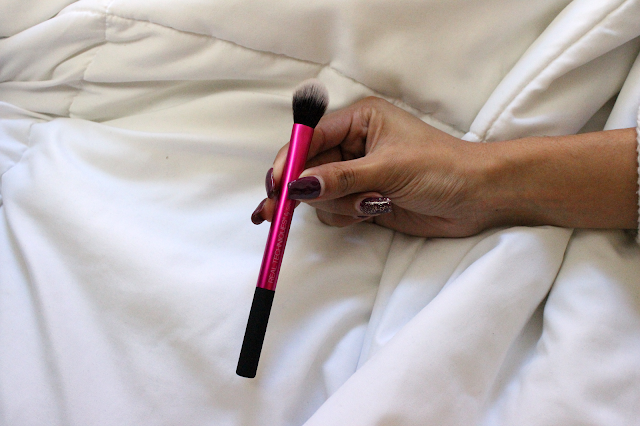 This brush just really gets all the product in, with so much precision. Most of these brushes are sort of "multitaskers." 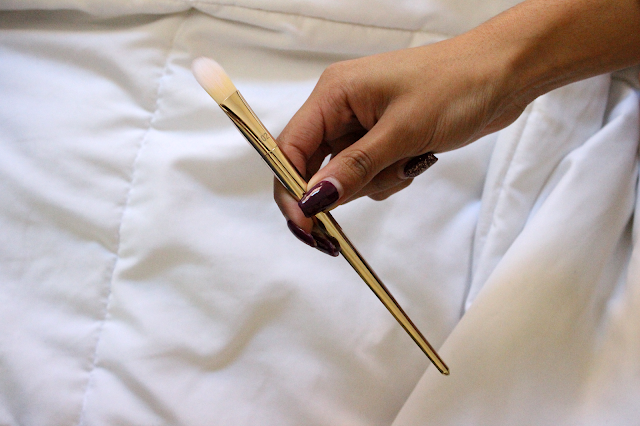 The flat edge of this brush also works for highlighting and contouring around the eyes, nose, and chin. 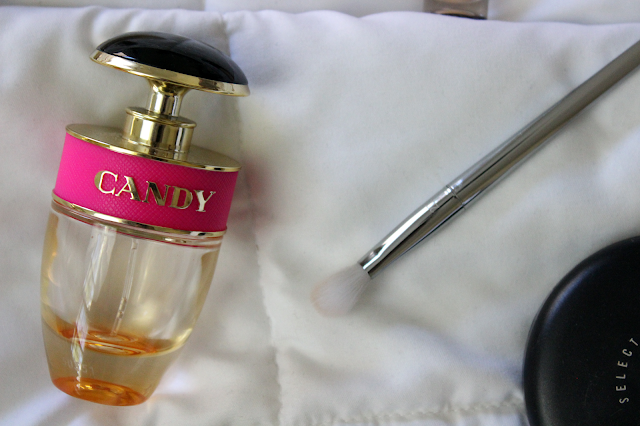 I'm not a big eye shadow brush buyer so I was sort of at a loss with this brush. I'm awfully lazy and tend to use only 2 brushes for an eyeshadow look, 3 max. This brush seemed a bit overpriced for what it is, but it has nice bristles for blending. Beauty sponges are tricky for me. 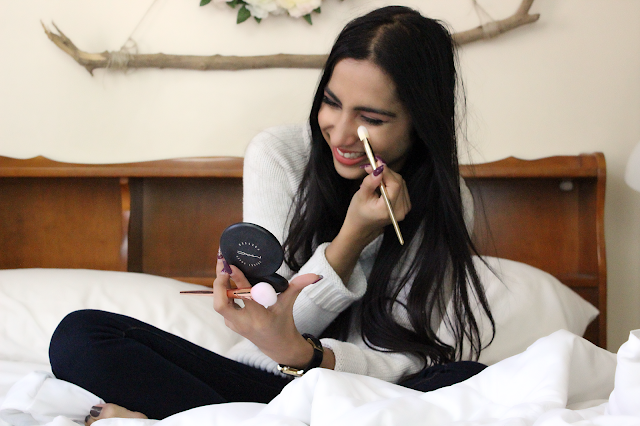 I can't seem to find the best foundation/sponge combo to get a Lilly Ghalici look (yes that's my goal). When this beauty showed up on my door I was excited. I love the fun orange colour, and the texture is great. Similar to any other beauty sponge you wet the complexion sponge and wring out the excess water. I applied both Sephora Collection Foundation and KVD Lock-It Foundation to see how the foundation applied. Overall, I was pleased with how smooth the foundation applied. I also thought the sponge fit nicely into the crannies of my face. My foundation looked smoother, but I personally didn't think I got the medium/high coverage I like. I felt like with this sponge I'd have to apply more foundation than I normally do to get my airbrush, brush results. I was surprised at how dirty this sponge got, my e.l.f. daily brush cleaner did nothing, and my foundation stained the sponge even after washing it =( Overall I do think its a good sponge, I'd like to try it with MAC's pro longwear waterproof foundation to assess further. 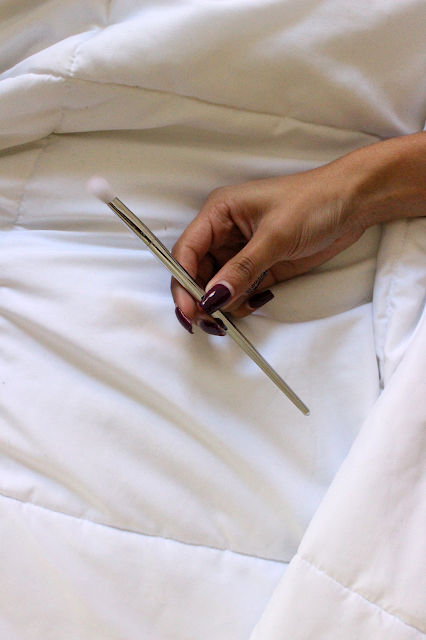 This setting brush is perfect to set those small areas on your face. For me my under-eye area is so challenging to get and my KVD brush is just a bit too big to precisely get the area I want. I like this brush because it gets that undereye area so well. What I dislike about this brush is that its so light and not weighted. It feels so flimsy. None of my makeup brushes feel this light so its quite a strange feeling. I do think the 300 brush would work well for setting since there is no specific setting brush in the Bold Metals collection. 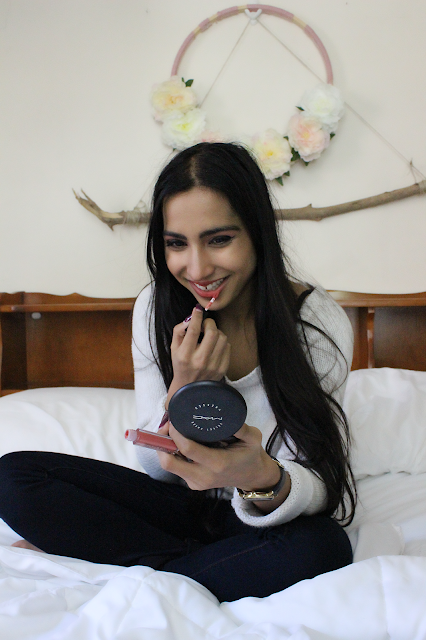 I'm also loving Smashbox's Always On Matte Liquid Lipstick in Driver's Seat. Such a pretty color! Overall the first thing I have to say about these Bold Metal brushes is that I love how they feel in your hand. They're weighted so there's precision when using them. Something I disliked about these brushes was the packaging there is so much invisible tape strapped to the brushes and its so difficult to peel off. The Complexion Sponge was a nice addition to my makeup collection although its challenging for me to use since I'm not a sponge person. I would recommend the Bold Metals collection and would love to get more of the face brushes on sale! I hope everyone had a beautiful Thanksgiving and an even better Gilmore Girls Day! See you soon. I received these products complimentary from Influenster for testing purposes. All opinions are always, always, always my own. Thanks Sauniya! They're so cute. Great idea, good gift. Thanks Eva! 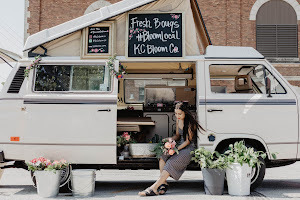 Some of my favorite photos by my friend Mallory! They are thanks for stopping by Gemma! 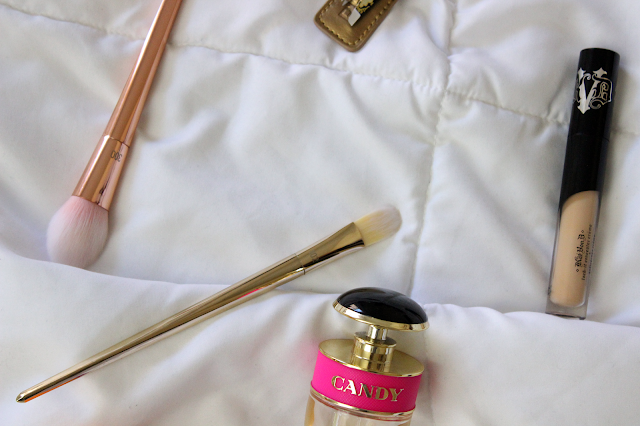 Those brushes are SO pretty! Obsessed! 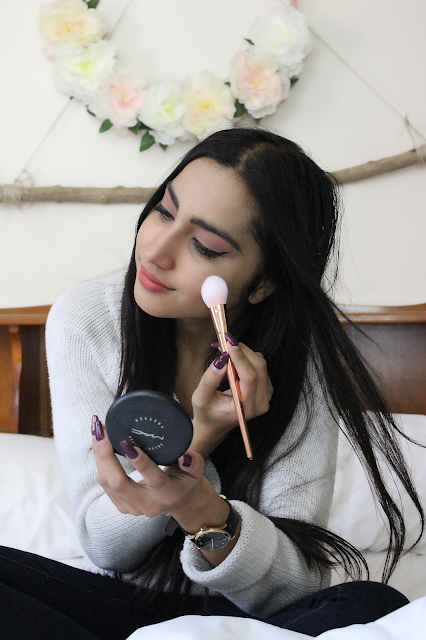 i am dying for those rose gold brushes! So you Chi Chi! Get them! The Mara Hoffman x Sephora brushes were sooo pretty and soft. I was waiting for them to go on sale but they ended up selling out before they went on sale :( This is such a great voxbox! Real Techniques brushes are the best! The metals collection are soo beautiful. Glad you enjoyed your RT voxbox! Awh I'm so sad you didn't get any. They went fast, in a mere few days. I love the foundation. Such a fun and fitting voxbox. I need to get better at sponges sigh. I will try a solid cleanser, what do you suggest? Your makeup looks fabulous! I need to up my brush game. That is a great VoxBox! 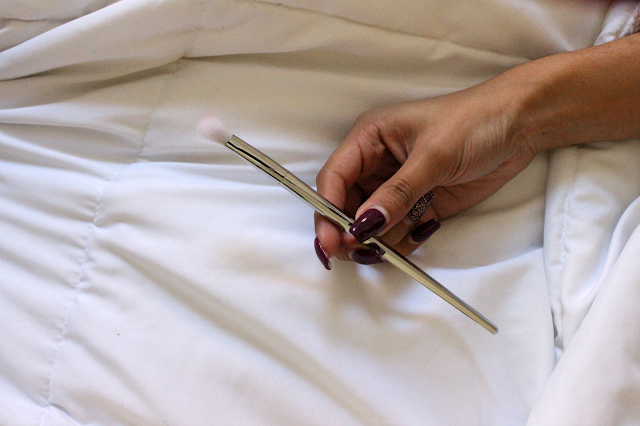 Real Technique makeup brushes are some of the best from the drugstore. I have never bought the Bold Metals range though as I find them to be way overpriced. I've heard they're expensive without coupons so I understand. I would like to try a couple more. They are sort of clearanced on Ulta? 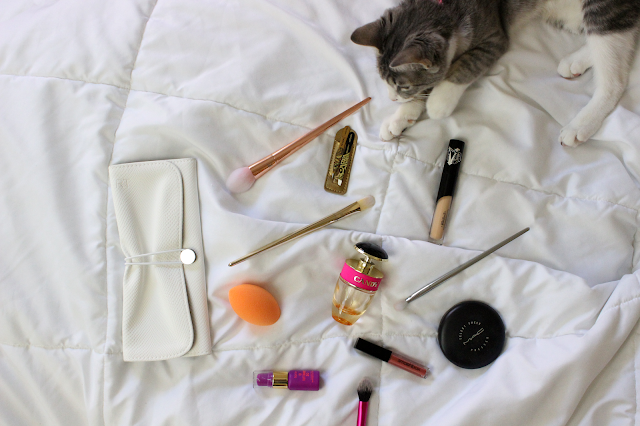 Aww, look at your cute kitty :) I'm usually pretty cheap with brushes, but those gold ones are gorgeous! 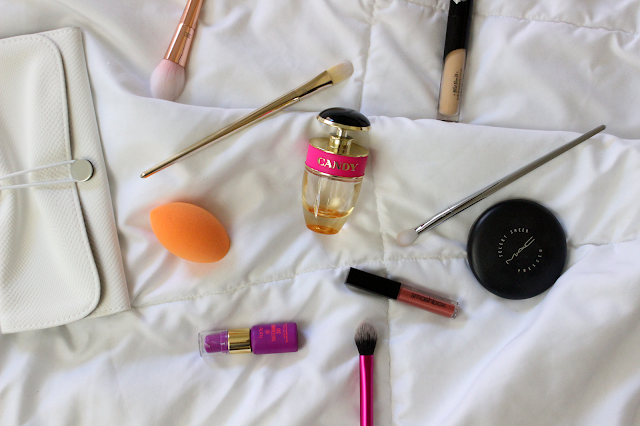 I also need to try a makeup sponge too--there are so many out there to choose from! Hope you're having a good week Sonia! Actually my friend Mallory's kitten, she's adorable. I am cheap too but these ones are great! I am busy, thanks Mme! 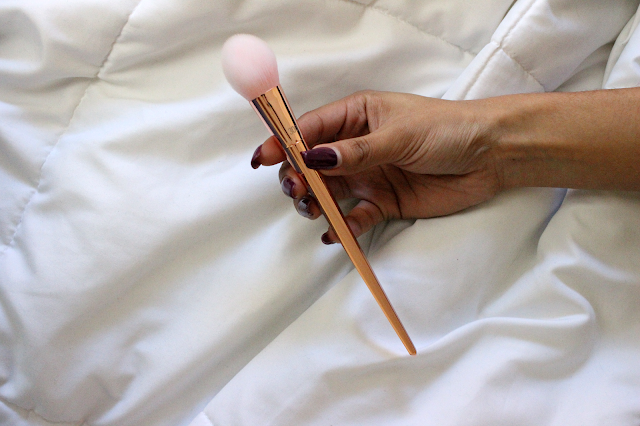 The first two brushes are sooo cute! Totally right! 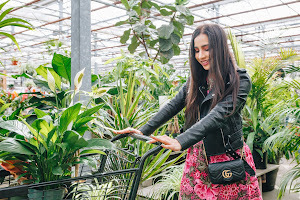 Thanks for stopping by Karishma! How cute is your kitty?! 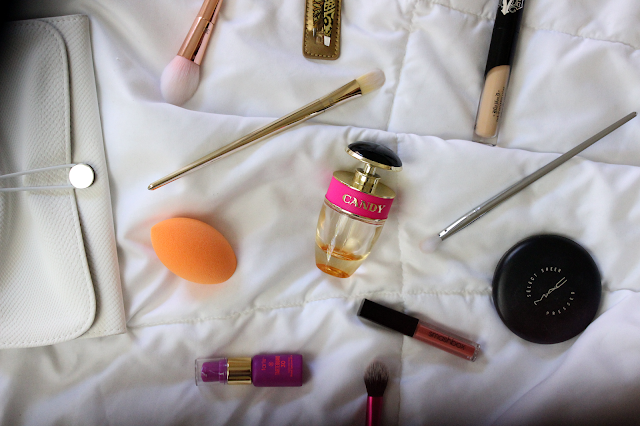 As soon as I saw those brushes, I thought they were perfect for flat lays. That's how my blogger mind thinks haha. Such a pretty set! Awh its my friends. 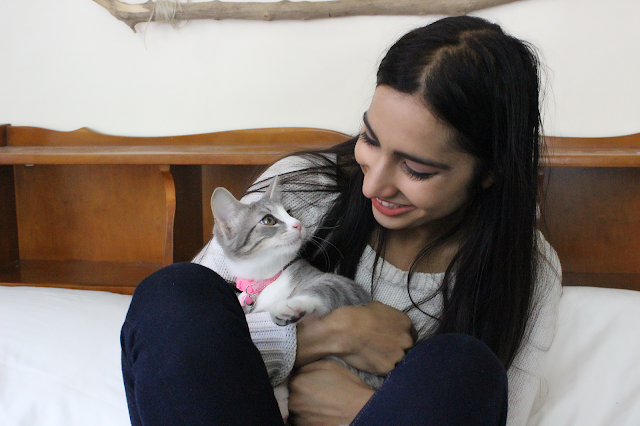 I wish I had a cat =( haha blogger minds. I loved them, they're so cute. Love RT brushes! Their bold metals are my favorite because they perform well, but are also so beautiful! Like you said, I love that they're weighted :). Gorgeous photos and your cat is so cute!! So glad to hear they work for you! I really like how shiny they are. The weighted-ness is everything! Thanks so much for stopping by! Shame that you didn't like the sponge but it's wonderful you enjoyed the brushes :) Seems like a nice set! I'd never used them before but enjoyed them! I must try Real Techniques brushes! I love Real Techniques- their brushes are awesome! They are Ashley! I love the Bold Metals! Those brushes look really good. I think if you continue using the sponge, you'll get the hang of it. Beautiful photos and how cute is your cat! Thanks Ann-Marie still trying to get it down! Thanks for visiting Mariia. I really love this set! Thanks for the tips! I love this fresh-faced look.